This ear tunnel is perfect to use for ear stretching. This tunnel is single flared, asuring you can put it in place without damaging your freshly stretched earlobes. A single flare tunnel has only one edge and a o-ring to keep it in place when its in. 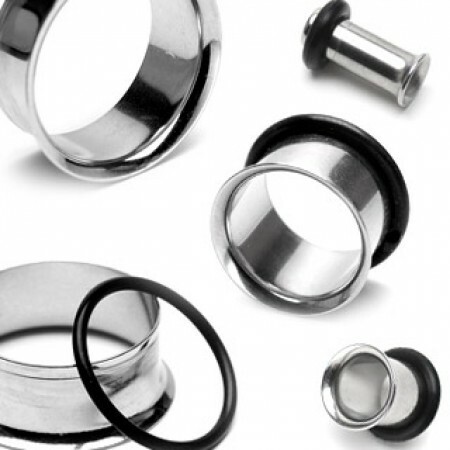 These popular ear stretching tunnels go perfectly with our ear stretchers, which you can find at the bottom of this page. Also make sure you add our free stretching guide and the right aftercare products to your order. We also have similar stretch plugs in case you prefer a plug instead of a tunnel.